Crews responded to a fire during the gas fires and explosions in Lawrence last month. Even before the natural gas fires erupted in the Merrimack Valley, the fossil fuel had been under increasing criticism for its environmental drawbacks, from contaminating groundwater to the leakage of methane, one of the most potent greenhouse gases. But with the disaster last month and a dangerous gas pressure spike Monday in Woburn, concerns about the fuel’s safety have intensified calls for the state to accelerate its transition toward renewable energy and away from its heavy dependence on gas to generate electricity. 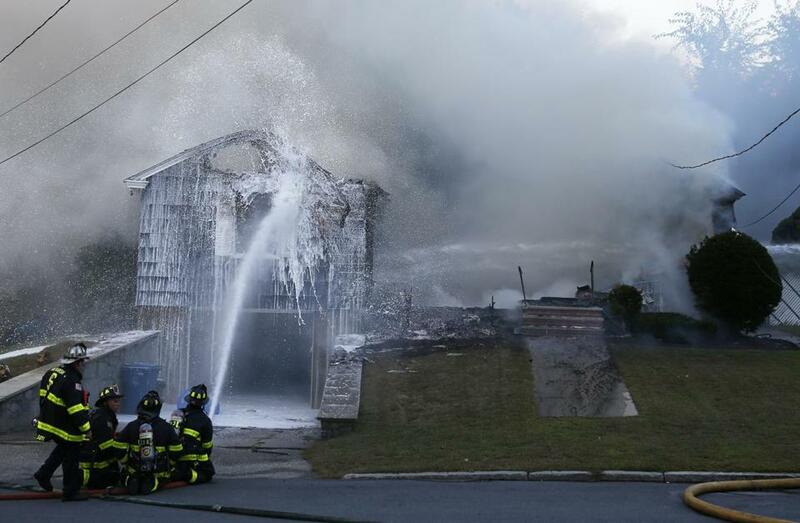 The explosions and gas-fueled fires that rocked Andover, North Andover, and Lawrence last month proved what critics have long feared: that pressure problems or other distribution errors in the natural gas system can be catastrophic. On Monday, state regulators imposed a moratorium on almost all National Grid work after a surge in pressure attributed to human error led the utility to cut service to more than 300 homes in Woburn. And Friday Massachusetts officials told Columbia Gas of Massachusetts it must halt all work in its service area, except for emergency and compliance work, following the release of a preliminary National Transportation Safety Board report on the company’s role in the gas fires. A shift away from coal and oil energy production has helped the state reduce its carbon emissions, the primary driver of global warming. New research, however, suggests that natural gas produces more emissions than previously thought, and many environmentalists contend that expanding natural gas capacity only delays the shift to renewable energy. 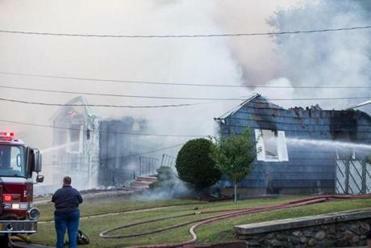 The increased pressure overwhelmed the aging gas line system in Lawrence, Andover, and North Andover, setting off fires and explosions that damaged 121 structures, killed one person, and left two dozen injured, the report states. State officials declined to respond to questions about whether Massachusetts should take more aggressive action to reduce its dependence on the fuel. Governor Charlie Baker has been a strong supporter of building new natural gas pipelines as a way to reduce the volatility of energy costs, especially when demand peaks in winter. The Baker administration has also tried to diversify the state’s energy portfolio by seeking to import more hydropower from Canada, launch offshore wind projects, and promote other forms of renewable power. The state’s reliance on natural gas, the source of about 66 percent of its electricity, has never been higher, and is likely to become more crucial to the power grid when the Pilgrim Nuclear Power Station in Plymouth closes next year. A Columbia Gas cover is seen on the sidewalk that runs along the left hand side of South Union Street, facing North, at the Winthrop Street intersection. The administration “is focused on assisting the Greater Lawrence area recover from the unprecedented disasters,” said Peter Lorenz, a spokesman for the state’s Executive Office of Energy and Environmental Affairs. The concerns about natural gas come as the United Nations’ Intergovernmental Panel on Climate Change issued a report this week suggesting that the world is running out of time to avoid catastrophic consequences from global warming. The document suggested the planet could begin experiencing catastrophic effects from climate change as early as 2040. Despite their qualms about natural gas, critics acknowledge the state can’t reduce its use anytime soon. More than half the state’s households use it to heat their homes, according to the Energy Information Administration. Two-thirds of residents use electricity generated by natural gas, a number that is expected to climb as more gas plants enter service. Officials at ISO New England, an independent company in Holyoke that operates the region’s power grid, have said they expect natural gas use to increase at least through the next decade. Industry representatives say it will be indispensable until wind, solar, and other renewable energy can provide significantly more energy than they do today, at comparable prices and reliability. “We see natural gas remaining a pillar of our energy mix,” said Tom Kiley, president of the Northeast Gas Association, a trade group representing utilities. Danielle Williamson, a spokeswoman for National Grid, noted that natural gas has helped reduce the region’s reliance on oil and coal, which produce greater amounts of carbon emissions. But in light of the Merrimack Valley devastation, environmental advocates say the move to renewable energy has taken on new urgency. They’re calling on the state to help more homeowners switch from gas to electric heating systems, which don’t spew greenhouse gases and are less likely to explode. Columbia Gas, which provides natural gas to much of the Merrimack Valley, recently offered to reimburse customers for “reasonable costs” of switching to other heating sources. Advocates are also recommending new investments in devices like electric heat pumps, which use a mix of pumps, fans, and compressors to draw heat out of the air. “We’ve seen it’s unwise to pipe in an explosive fuel into your house and light it on fire, especially in an age of terrorism,” said Audrey Schulman, president of the Home Energy Efficiency Team, a Cambridge nonprofit that has mapped the thousands of gas leaks around the state. Others recommend the state accelerate its plans for offshore wind, similar to the aggressive plans announced in New York and New Jersey, and promote solar energy by lifting the state-imposed caps on the amount of money that operators can be reimbursed for selling energy they produce to the grid. Construction took place on Brookfield Street in South Lawrence. Critics also note that natural gas, as it has become more widely used, has contributed to an increasing portion of the state’s emissions. It now accounts for about 36 percent of the state’s total, more than double the amount in 1990. Scientists and environmental advocates say natural gas emissions are probably higher. The state’s aging distribution system has more than 15,000 known leaks, according to utility reports, but it’s unknown how much methane — the principal component of natural gas — is escaping from them. Methane is considered 34 times more potent at trapping heat in the atmosphere than carbon dioxide, according to the Intergovernmental Panel on Climate Change. Nathan Phillips, a Boston University professor of earth and environment who studies gas leaks, has found that the amount of gas leaking from the state’s pipelines is far more than officials have acknowledged.